Imec.istart is imec’s Business Incubation Program set up to support tech start-ups with coaching, facilities and funding. The imec.istart program just launched its call for innovative start-up projects with application deadline on October 1st. Global leaders in IT services, digital and business solutions, partnering with clients, to simplify, strengthen, and transform their business. Together building on the future of governments. Cipal Schaubroeck is the governmental IT & HR-partner. R/GA Ventures is designed to be a way for R/GA to contribute to the startup community, and to help promising young companies create not only a product, but also a brand and experience right from the start as they bring their businesses to market. St. Francis College’s Center for Entrepreneurship seeks to stimulate and promote entrepreneurial activity in Brooklyn/New York that leads to creation of sustainable socioeconomic value. CrowdAngels connects Believers via Omnisourcing. 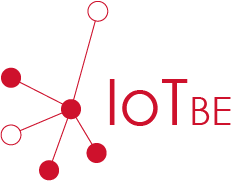 IoTBE is the Belgian cluster of IoT high-tech companies & startups, research organisations and experts. Together with Agoria, iMinds & Howest, IoTBE promotes the adoption of IoT in both the service & industry sector and the government. By providing innovation platforms like IoTIC & the Open Innovation Verticals, IoTBE brings together all IoT stakeholder within a specific domain in order to stimulate innovation and enterpreneurship. Sint-Jans Molenbeek is a very kind partner providing logistical, political & moral support. Our offices, located near Brussel's hotspots are kindly provided by the "Centre d'Entreprises de Molenbeek".